There had been furious backlash to their previous decision to omit certain examples of anti-Semitism from Labour’s own definition. The news comes just hours after it was revealed Peter Willsman, a controversial activist who accused Jewish members of making up accusations of anti-Semitism, was re-elected to the National Executive Committee (NEC). The NEC will discuss anti-Semitism today and is expected to adopt the IHRA definition in its code of conduct for members, alongside a clarification emphasising the right to non-racist criticism of Israel. Shadow Chancellor John McDonnell called for the party to adopt the IHRA definition, saying he wants “an acceptance of the IHRA definition and examples”. He added it was necessary to have “freedom of speech so people are free to criticise Israel and its policies, free to advocate the rights of the Palestinians, but at the same time make sure it’s done in language that’s acceptable”. Mr McDonnel also acknowledged the bitter row had “dragged on and I think we should have addressed it much sooner”. The NEC previously omitted a section of the international definition that states comparing Israel to Nazi Germany or “claiming that the existence of a state of Israel is a racist endeavour” are forms of anti-Semitism. Critics of the IHRA approach have claimed these would stifle their ability to make legitimate criticisms of the Israeli government’s actions against Palestinians. However, Jewish groups have expressed frustration that anti-Semitism is being conflated with what they view as a separate issue of how the the state of Israel conducts itself. 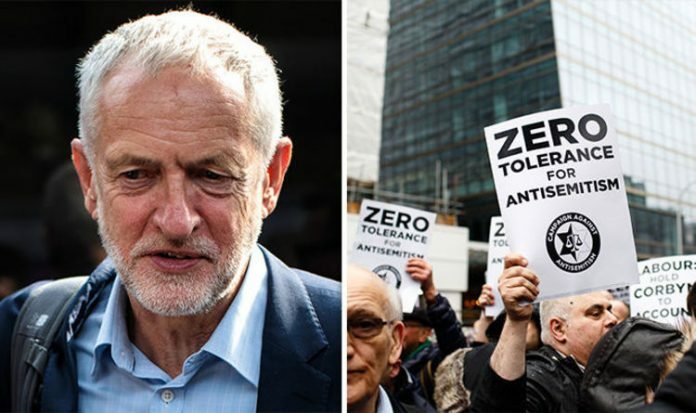 Jeremy Corbyn, who has been heavily criticised in recent months for failing to adequately tackle anti-Semitism in his party, is expected to attend today’s crucial meeting. Mr Willsman’s election to the NEC on a slate of nine supporters of Jeremy Corbyn has betrayed yet further the deep rift within the party. Vice president of the Board of Deputies of British Jews Amanda Bowman described his election as “deeply concerning” following his “reprehensible comments”. She stressed the NEC must adopt the full IHRA definition and its examples “and then begin taking firm disciplinary actin against all those who commit anti-Semitic acts and bring the party into disrepute by denying the problem”. Mr Willsman, a “friend for 41 years” of Mr Corbyn, who he calls “Jerry”, said critics were trying to undermine the Labour leader. The NEC meeting will be held at lunchtime at the party’s Southside headquarters in Victoria. According to the agenda, only half an hour has been allocated to discuss anti-Semitism before the party’s democratic review, but party insiders suspect it will run on much longer. The NEC has around 40 members, representing all aspects of the party, including MPs, party members, trade union reps and local government.